(CNSNews.com) - A liberal group that promotes "progressive visions for America's future" plans to honor "three bright lights" in the progressive movement next week -- and one of those "bright lights" is Elaine R. Jones, formerly with the NAACP Legal Defense and Education Fund. Jones's name has surfaced in connection with Memogate -- allegations that liberal special interest groups improperly influenced Senate Democrats' decisions on which of President Bush's judicial nominees should get a hearing. At issue is whether Elaine Jones tried to influence the outcome of a high-profile affirmative action case by contacting aides to Sen. Ted Kennedy -- and urging them to recommend that Kennedy delay the Senate confirmation of Julia Smith Gibbons. President Bush had nominated Gibbons to a post on the 6th U.S. Circuit Court of Appeals. At the time, Jones - as part of the NAACP Legal Defense and Education Fund -- was arguing before the 6th Circuit in support of the University of Michigan's affirmative action policy. Questions about Jones's role in the judicial confirmation process surfaced after two Republican staffers with the Senate Judiciary Committee read and downloaded thousands of Democrat memos stored on a shared government computer. Some of those Democrat strategy memos -- including one that mentioned Jones -- implicated Democrats in allegedly unethical and possibly illegal conduct. Furious Democrats on the Senate Judiciary Committee demanded the prosecution of the Republican staffers who downloaded the memos. And Judiciary Committee Republicans also expressed dismay over the "improper accessing" of the files. "I am mortified that this improper, unethical and simply unacceptable breach of confidential files occurred," Judiciary Committee Chairman Orrin Hatch (R-Utah) said in March. "There is no excuse that can justify these improper actions." Never mind the accessing of the files -- what about their content, furious conservatives wondered. A government watchdog group called The Center for Individual Freedom is among those demanding that the Justice Department conduct a full investigation into what the Democrats' memos say -- to see if any laws were broken "when Democrats conspired with special interest groups to delay and obstruct consideration of President Bush's judicial nominees." The Center for Individual Freedom, which describes itself as a constitutional advocacy group, is dedicated to ending the "corruption plaguing the judicial confirmation process in the United States." As CNSNews.com previously reported, one of the downloaded Democrat memos that was leaked to the press -- an April 17, 2002 memo to Sen. Kennedy -- said, "Elaine Jones of the NAACP Legal Defense Fund tried to call you today ... Elaine would like the [Senate Judiciary] Committee to hold off on any 6th Circuit nominees until the University of Michigan case regarding the constitutionality of affirmative action in higher education is decided by the en banc 6th Circuit ... The thinking is that the current 6th Circuit will sustain the affirmative action program, but if a new judge with conservative views is confirmed before the case is decided, that new judge will be able, under 6th Circuit rules, to review the case and vote on it." The Senate eventually confirmed Gibbons, but not until two months after the 6th Circuit had issued a ruling in one of the University of Michigan cases. Both cases eventually reached the U.S. Supreme Court, which preserved the use of affirmative action in higher education. 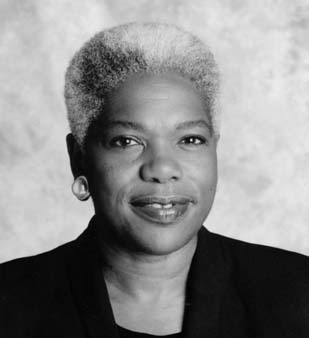 The Campaign for America's Future said Elaine Jones will be saluted with a "Lifetime Leadership Award" for her invaluable contributions to civil rights, law and politics in America. Jones recently retired after more than three decades with the Legal Defense and Education Fund, the press release noted. In addition to honoring Elaine Jones, the Campaign for America's Future plans to recognize New York Attorney General Eliot Spitzer and the advocacy group MoveOn.org at its "Take Back America" awards dinner on June 2. Spitzer will receive a "Progressive Champion Award" for his work in "cleaning up corporate America." He also will deliver the keynote address. MoveOn.org's staff and membership will receive the "Paul Wellstone Citizen Leadership Award" for their work engaging and mobilizing people in America. According to the press release, "MoveOn.org has more than 2 million activists in the United States, making it larger than the Christian Coalition at its peak." The Campaign for America's Future says its June conference in Washington "will bring together all of the groups working hard this year, independent of the Democratic Party, to change the national debate, to challenge the Right and to promote a positive agenda for change."